23/2 Started Sunday morning at Paull. Just as RL and I got into the “fisherman’s car park” Nick Morgan pulled up beside us. 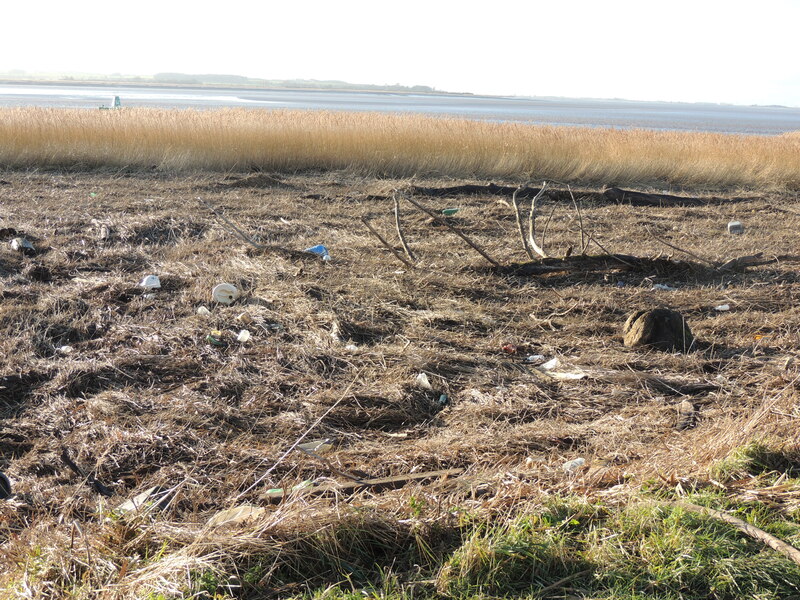 He was short of counters for the Estuary Counts so RL volunteered to do the section covering Paull Holme Strays. In fact this just meant forwarding numbers from the the count we planned to do anyway. Positioned ourselves behind the old lighthouse near the western inlet to the the Strays which provides surprisingly good shelter from the strong wind. Our counts were:- Teal 40, Golden Plover 6600, Wigeon 682, Shelduck 234, Grey Plover 37, Lapwing 930, Oystercatcher 3, Bar-tailed Godwit 400, Redshank 52, Dunlin 892, Ringed Plover 20, Curlew 66 and Turnstone 5. 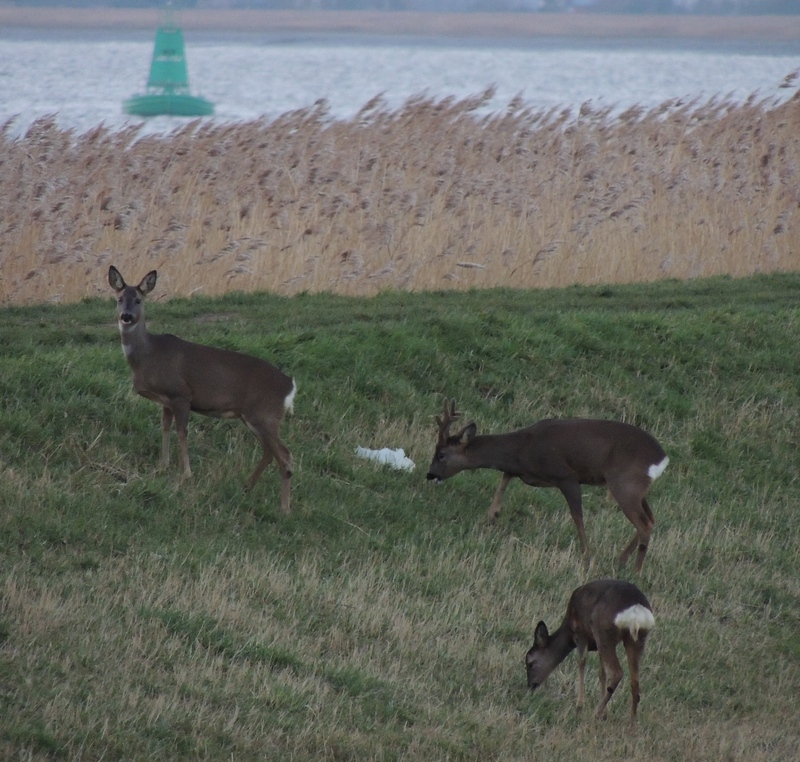 More Paull area news here. Went to meet JH at Hornsea Mere early afternoon. Had an adult Little Gull as well as the usual Scaup and female Velvet Scoter. Again no sign of any Great White Egrets. I’m not aware of any sighting for c2 weeks. 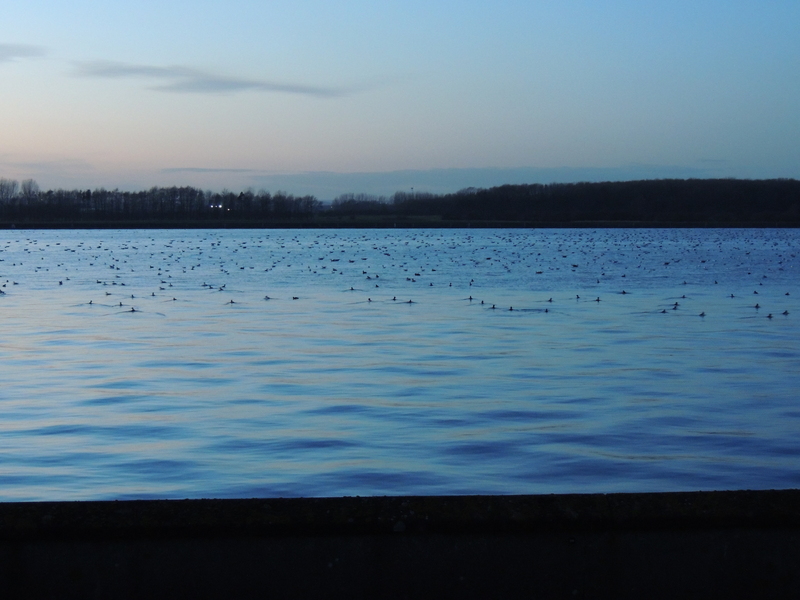 Went to Tophill Low NR with RL late afternoon to do the gull roost on D reservoir. For a change we had Middle Hide to ourselves. 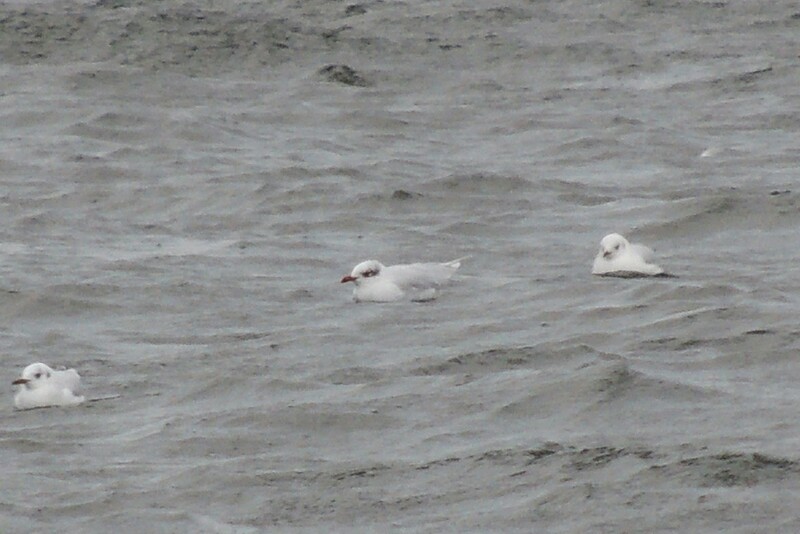 RL picked a winter adult Mediterranean Gull, probably the same bird we had on Friday. 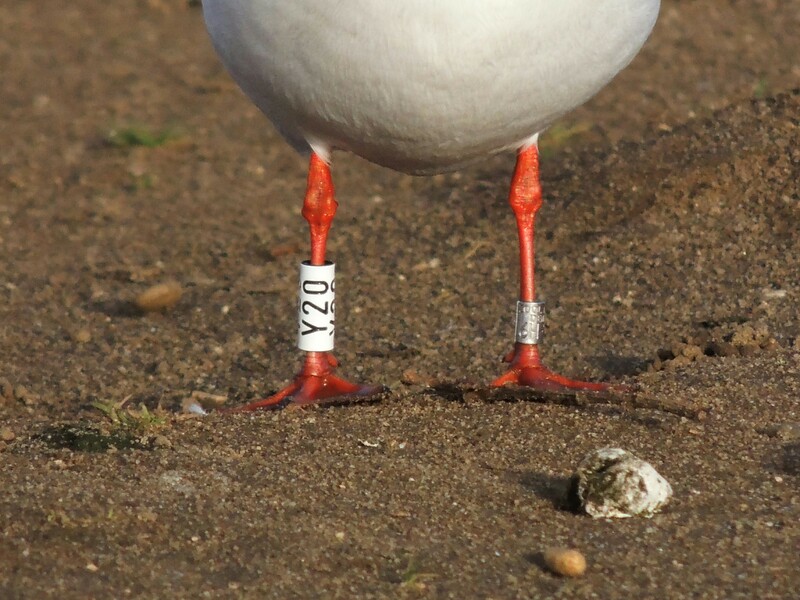 While watching it RL called out an assumed Kumlien’s Gull. 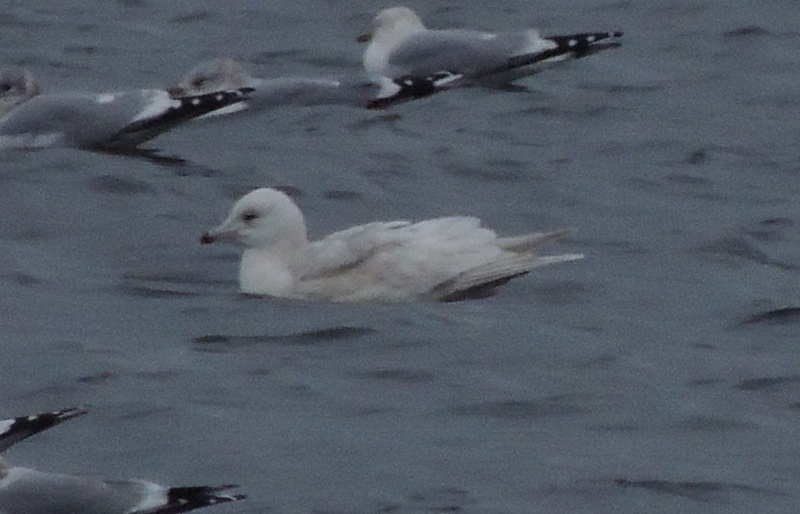 Only saw it briefly before it flew south and was only able it say it was an immature Iceland-type. Fortunately it only flew a short distance and it slowly drifted back north and closer to us over the next hour and a half and we were clearly able to tell it was a 2nd winter Kumlien’s Gull -although paler than the last time I’d seen it well- and most likely the Barmston bird. Most of the regulars on site managed to see it but only from Car Park Hide so didn’t get the close views we eventually got. Having been seen late last year and then again on Monday we were relieved to grip it back. It eventually flew off near dark. While watching the Kumlien’s Gull I picked up a second, near summer plumaged, Mediterranean Gull. Also again had 2 Little Egrets flying south at dusk. For more Tophill Low NR news check here. 25/2 On Tuesday afternoon went to Welton Waters. Again very little wildfowl with only 16 Tufted Duck and 11 Goldeneye on the 2 larger pits. Presumably due to the mild winter. With few Smew in the area and the previously regular drake not at Far Ings it’s looking unlikely one will appear this winter. 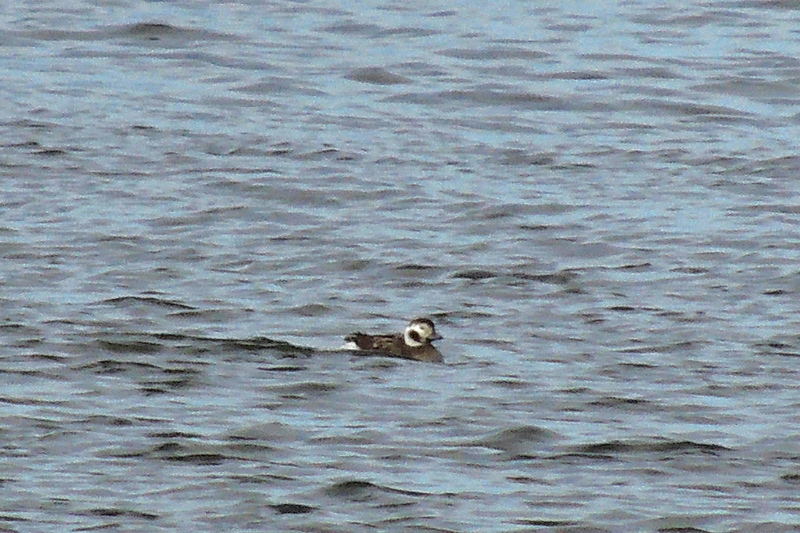 However with a Long-tailed Duck at Barton-on-Humber GPs there is still the possibly of something interesting before spring. As usual ended the day overlooking Brough airfield marsh. 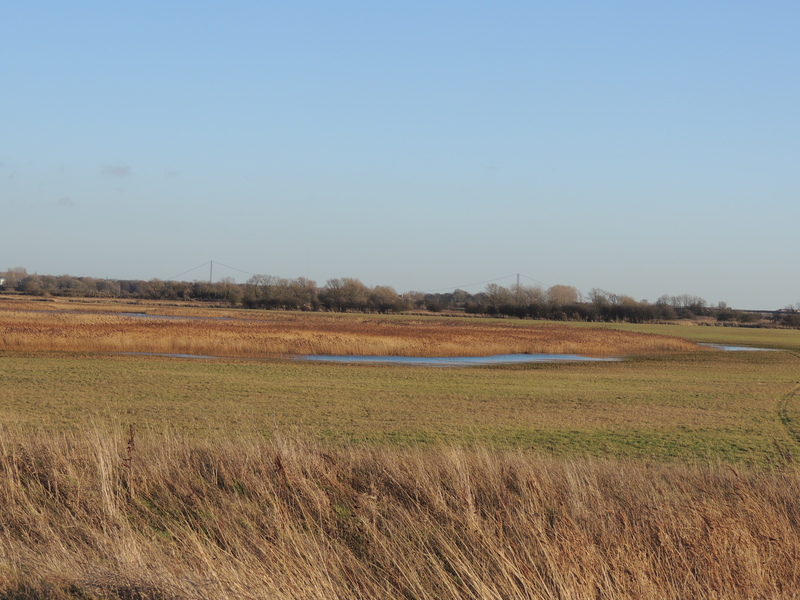 Yet again no Short-eared Owls but did have an immature male Marsh Harrier coming in to roost. 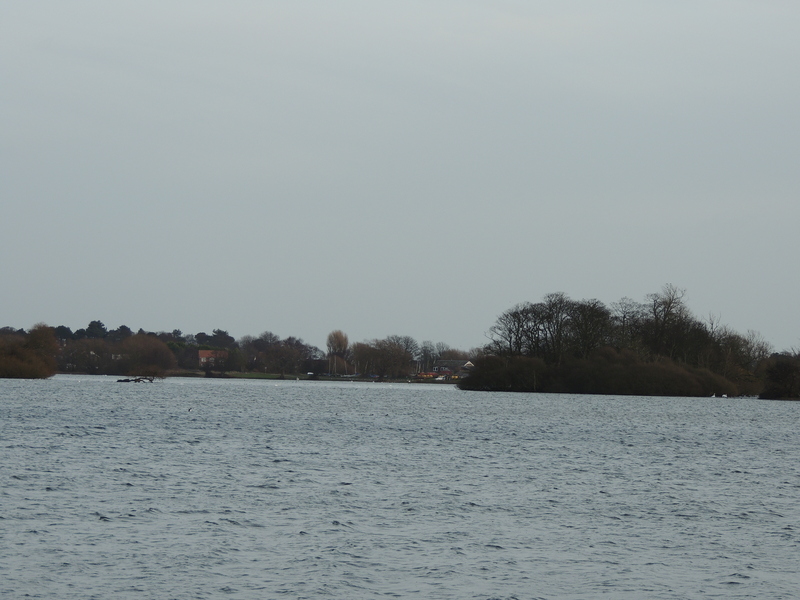 27/2 Went to Hornsea Mere with ML and RL on Thursday morning. Again had 8 Scaup, including 2 drakes, and the female Velvet Scoter, all from the HVWG hide. Moved round to the Kirkholme Point where ML picked up the long staying Long-tailed Duck, feeding close to Swan Island. First time I’ve seen it this year but ML and RL had seen it on Saturday. 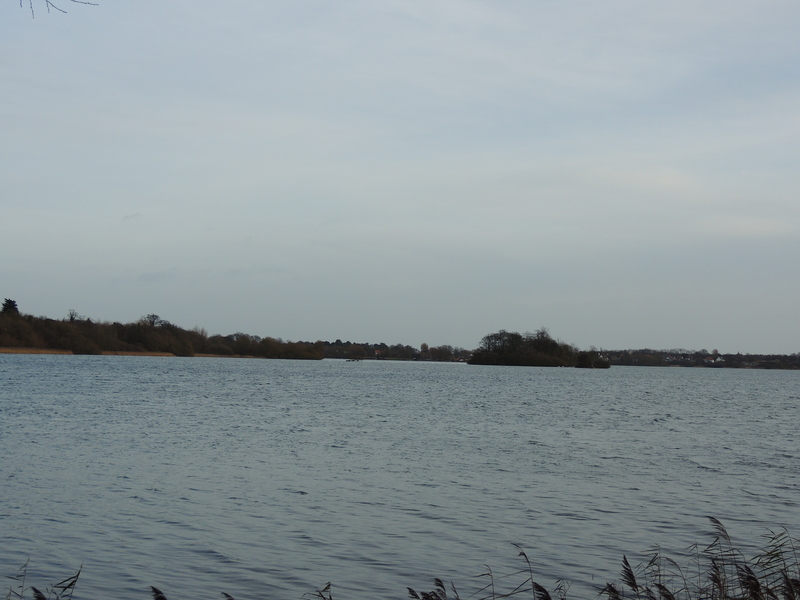 For more news from Hornsea Mere check here. Went to High Eske NR late afternoon. Like Welton Waters, wildfowl numbers are well down here. Still c200 Wigeon but that’s low compared to previous years. No Tufted Duck. Great Crested Grebe had increased but still only 6. 13 Goldeneye was respectable but lower than in the past. Only 6 Gadwall and even Mallard numbers were low. The breeding pair of Oystercatcher have been back since the 17th with one on the 3rd. Walked to the north of the pit to look for swans. Had seen a juvenile Whooper Swan, presumably the bird from December, with Mute Swans and a Black Swan on Arram Carr twice last week [both bird in the top image but too distant for a better shot] but today only had a few Mute Swans. Didn’t have time to do Leven Carr but had seen a male Hen Harrier on Monday, presumably the bird seen recently at Tophill Low NR [see link above]. Usually had several Little Egret flying towards High Eske/Pulfin NR late afternoon, with 7 on Monday, but saw none today. Previous winters Little Egrets have roosted at the south end of High Eske NR but this winter I haven’t seen any actually roosting. Had a look at Pulfin NR where a regular Barn Owl was hunting but couldn’t get close enough for a picture. A Little Egret, the only one seen tonight, flew over from the south but I couldn’t relocate it roosting nearby. 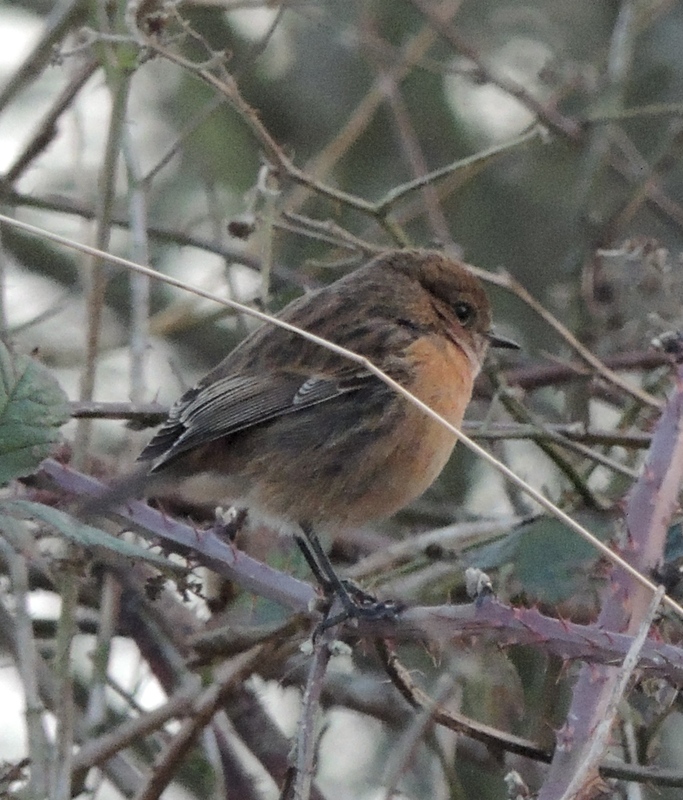 Walking south from Pulfin NR kept pushing a small bird which I assumed to be a Robin but when I finally got a clear view turned out to be a Stonechat, my first here for a few years. The light was fading but I had to try for a photo. Kept moving and was usually obscured but I fired off a few shots and miraculously got one reasonably clear shot. Went to Hornsea Mere on Friday morning with RL. Started at Kirkholme Point. Brian Wilson had just had the Great White Egret but it appeared to have walked into the reeds. Went round to the hide. 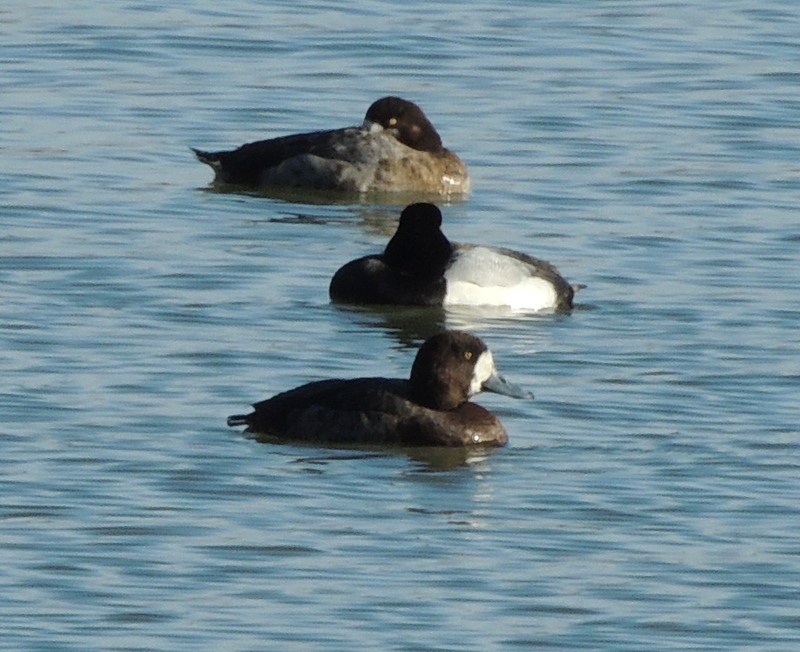 Eight Scaup were close, but the no sign of the ninth. The drake Red-crested Pochard was also close in but like the rest of the ducks was having an early afternoon siesta. 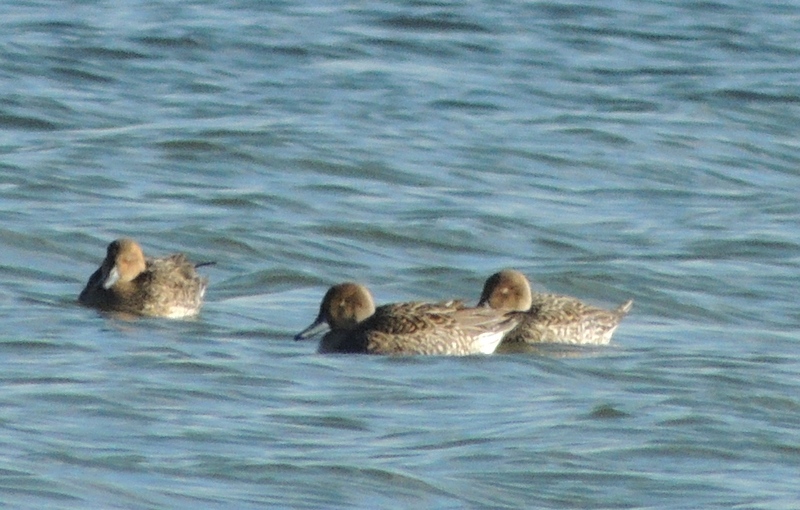 Four female Pintail were new in, a scarce bird this mild winter. 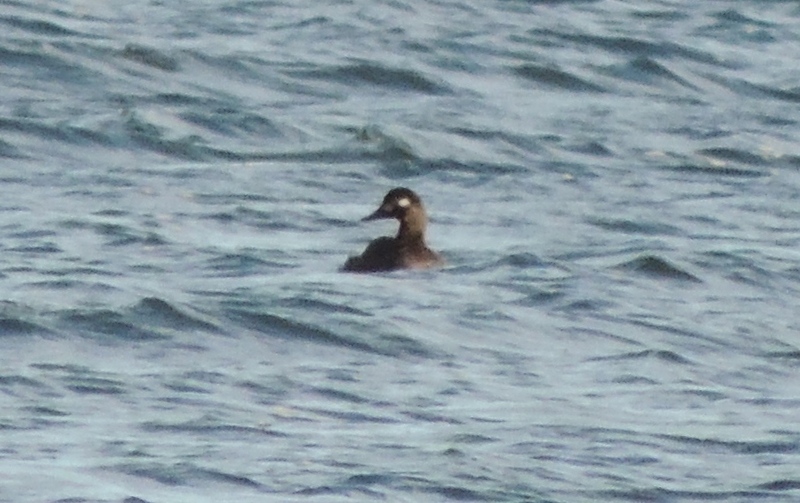 Didn’t see the female Velvet Scoter but Mark Robinson had it later. The Red-necked Grebe was seen again at the west end on Tuesday. More news from the mere here. Went to Barmston early this afternoon. 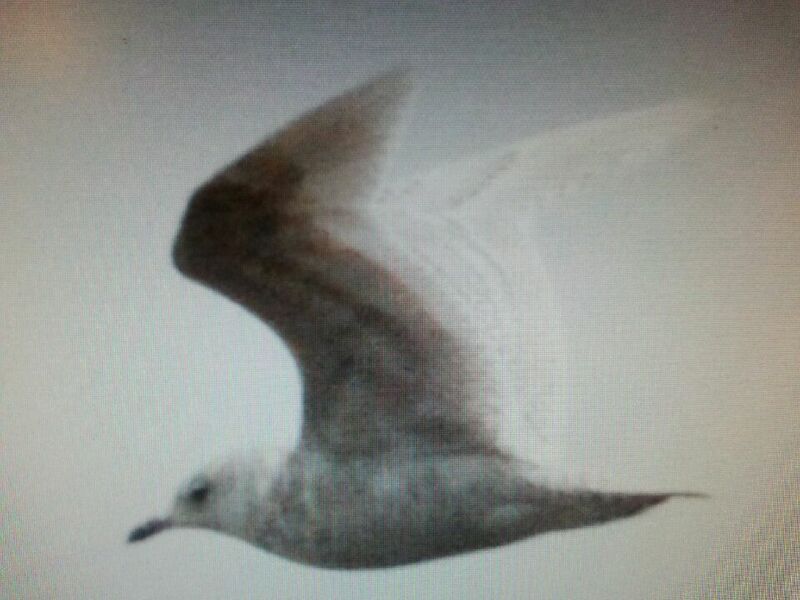 Had the Kumlien’s Gull in flight distantly to the north of the caravan park. In common with the rest of our coastline today only a few Red-throated Divers and Great Crested Grebes on the sea. At our next spot, Ulrome, RL picked up an immature Shag, a rare sight south of Flamborough Head. Also I had a few Guillemots flying north off Atwick as well as five Sanderling on the beach. 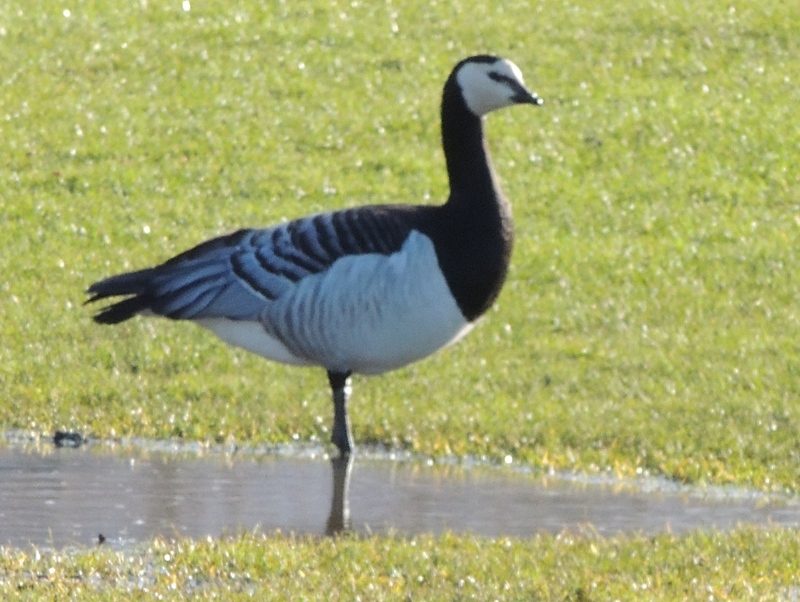 Three Pink-footed Geese and a Barnacle Goose were with the Greylags by the pond at Skirlington. A male Hen Harrier was seen over Tophill Low NR late afternoon. On Sunday morning went to Hornsea Mere with ML and RL. JH had seen nothing of note from the hide so went straight to Kirkholme Point. 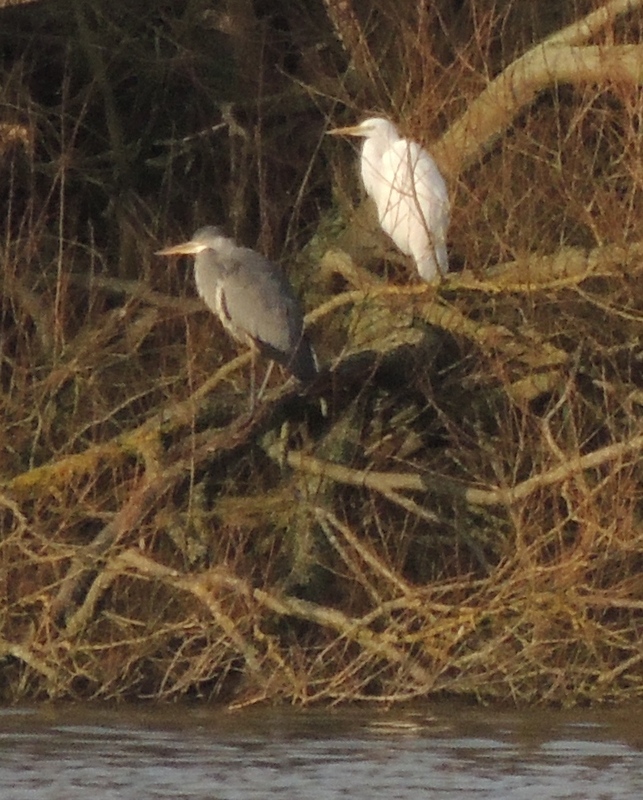 Immediately saw a Great White Egret sat in a tree north of the car park with several Grey Herons. 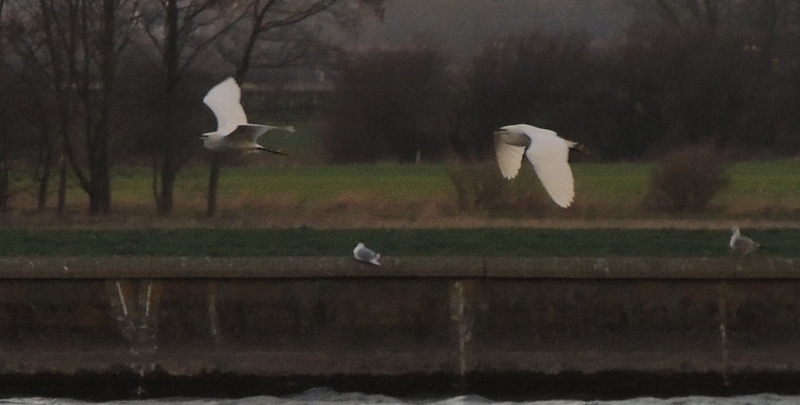 The second Egret was more distance in Decoy Bay. Also heard, then saw 39 Pink-footed Geese flying south. The Danish ringed Black-headed Gull was again around the parked cars. Moved to Barmston. Tide well out and a lot of people on the beach. No sign of the Kumlien’s Gull there or in the fields north of the caravan park. Later found the Kumlien’s was on Bridlington North beach all day. Interestingly it had been seen there this time last year. Also at Barmston 7 Little Gulls and 35 Snow Buntings had been seen this morning. Did a sea watch off Ulrome early afternoon. The highlight was at least 4 adult Gulls as well as a drake Goosander, 6 Red-throated Diver, 12 Guillemots, 4 Goldeneye, 12 Shelduck and a Pink-footed Goose that flew north overhead. 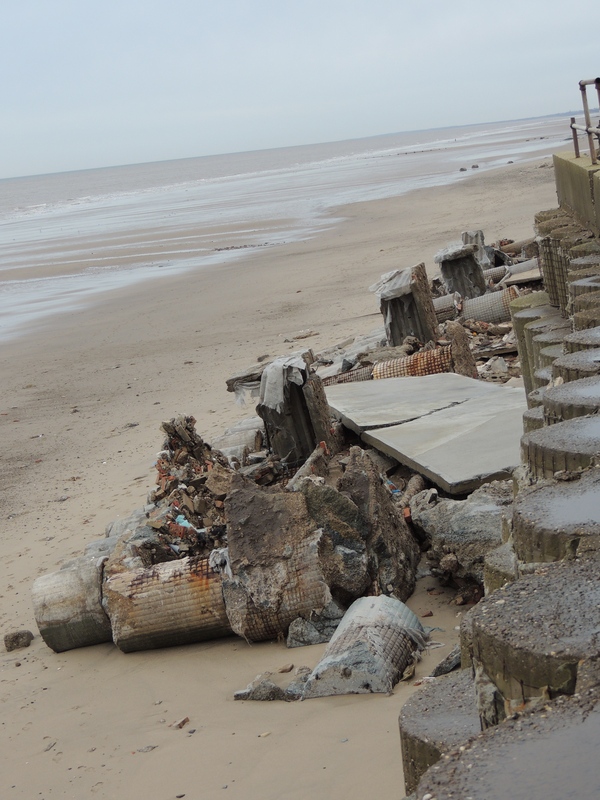 Failed coastal defences at Ulrome [Man Proposes, God Disposes-Landseer]. Finished the day in the Hornsea Mere hide. Again no interesting gulls but had the female Velvet Scoter and a least 7 Scaup. 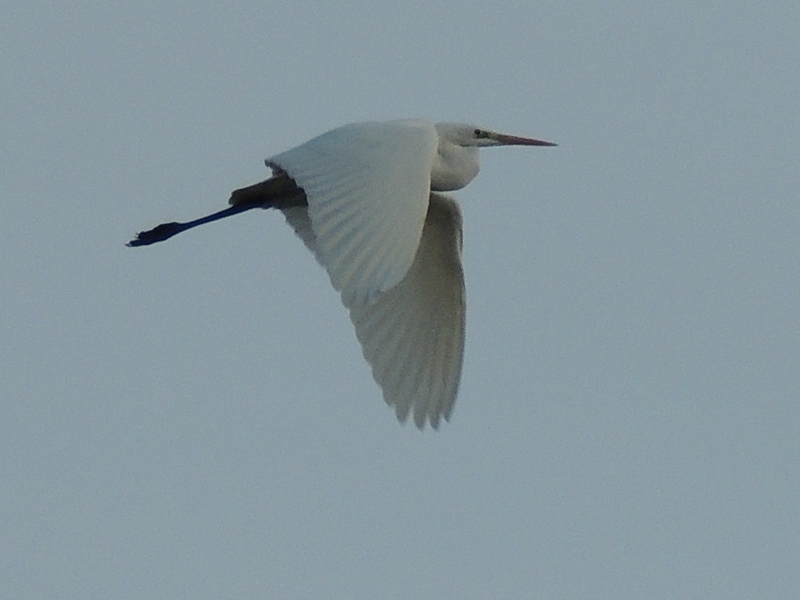 Saw one of the Great White Egrets flying west to roost late afternoon. Went on to Ulrome where we could sea-watch from the car. Managed 5 Common Scoters, 17 Fulmar, 1+ Kittiwake, Lesser Black-backed Gull, 10 Teal, 3 Shoveler and a Red-throated Diver. The coast had suffered badly from last years tidal surge. On a whim we decided to finished the day back at the mere hide. 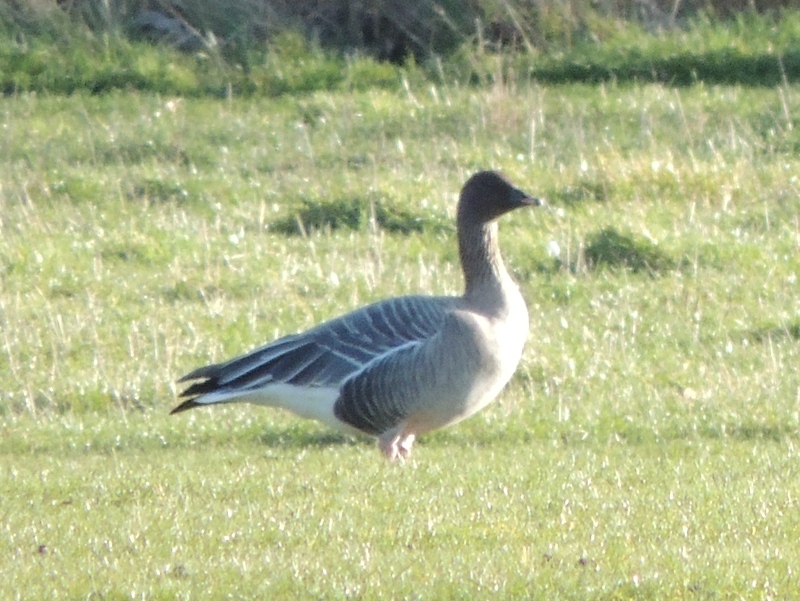 Just north of Hornsea we had a flock of 117 Greylag Geese with one Pink-footed Goose. 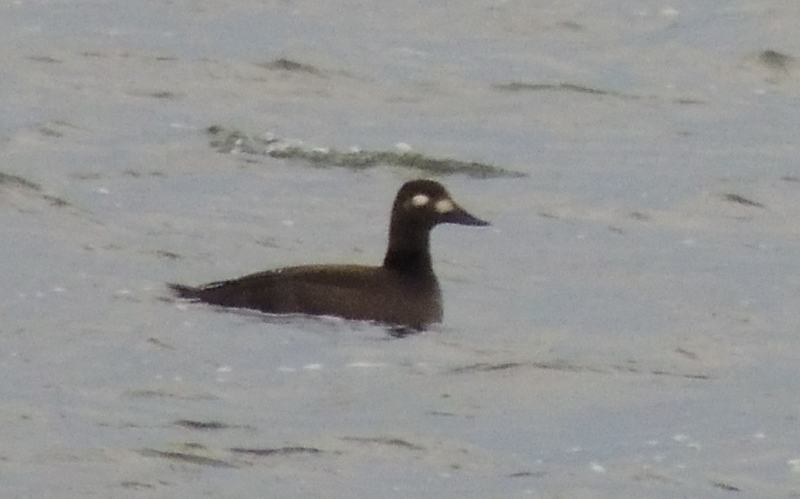 Back at Hornsea Mere our decision paid off when I located the female Velvet Scoter, as usual between us and Swan Island. We also managed 4 little Gulls. Could have been more but all the small gulls roosted close in to the south side and were difficult to differentiate in the conditions. Leaving we had both Great White Egrets roosting at the bottom of the cormorant trees close to Seaton Road. Thursday by contrast was like a spring day. Started at Welton Waters. 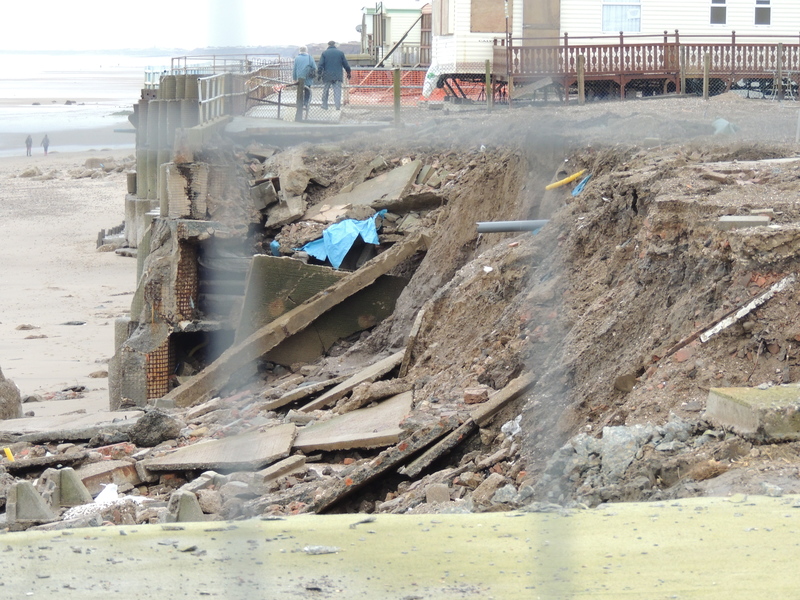 This area had been badly effected by flooding from the Humber before Christmas. A lot of debris but no sign of any serious damage. Presumably all the fridges etc that had reportedly been floating in the pits had been removed. 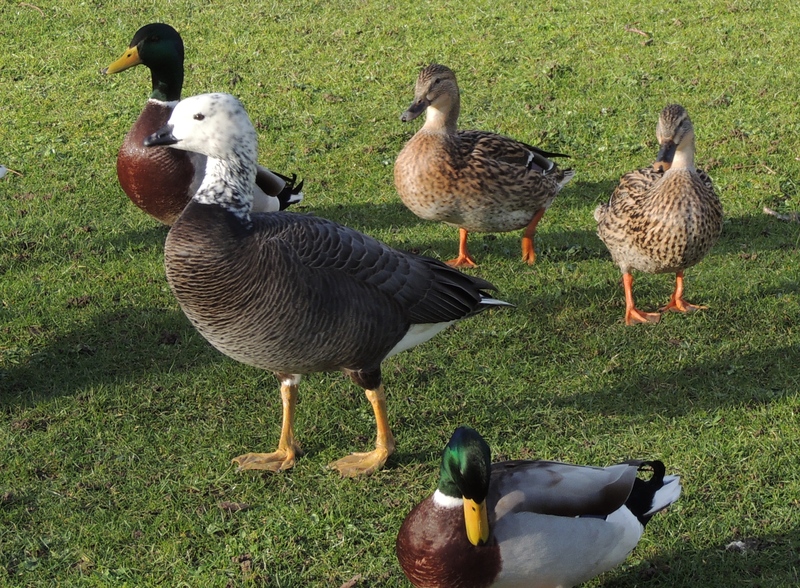 Wildfowl numbers were low for this time of year. Whether this was a consequence of the flooding I don’t know. However a total of 8 Little Grebes was better than recent winters. On a positive note, although we didn’t see one, an Otter had preformed well on watersports pit earlier. The first report since the herbicide treatment which seems to have put off the birds. Continued to the airfield. 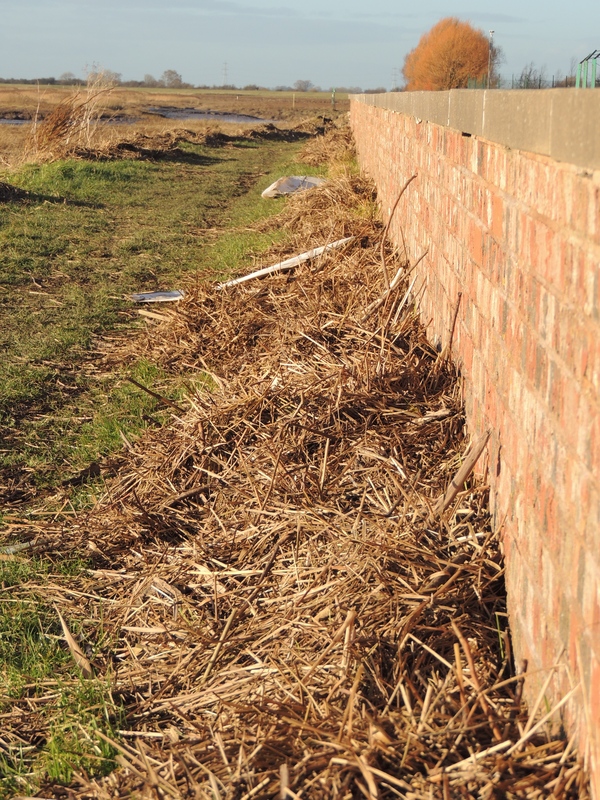 A section of the flood bank just west of Brough Angling Complex had been scoured out by the floods. As expected the water level was up on airfield marsh but again little wildfowl although 4 Pochard was new for the day. Scanning the marsh I saw a large brown bird flying from Brough Angling Complex. 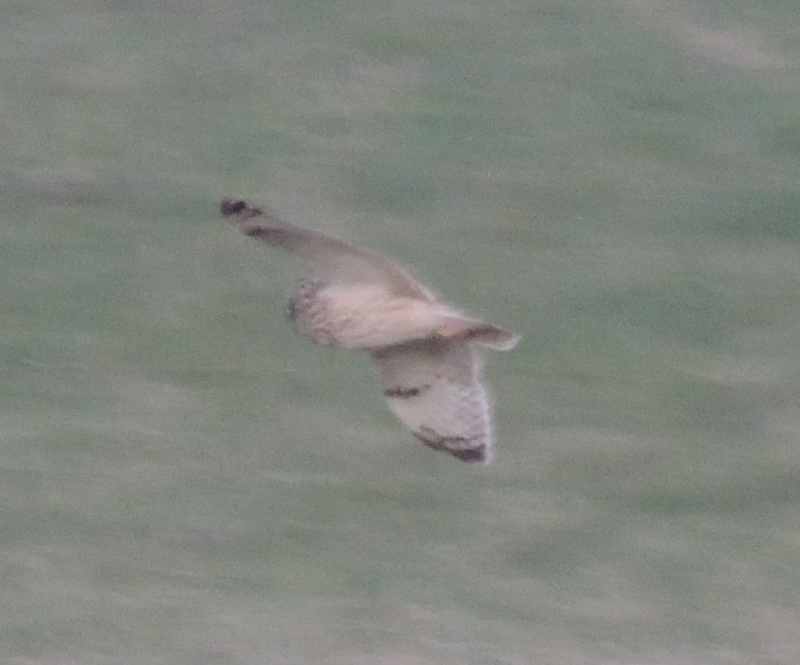 Common Buzzard and Short-eared Owl were eliminated and I realised it was a Bittern. RL get on it before it dropped into the marsh. Had a few previous records but not an easy bird anywhere. Continuing on to the Haven I had 100+ Teal. 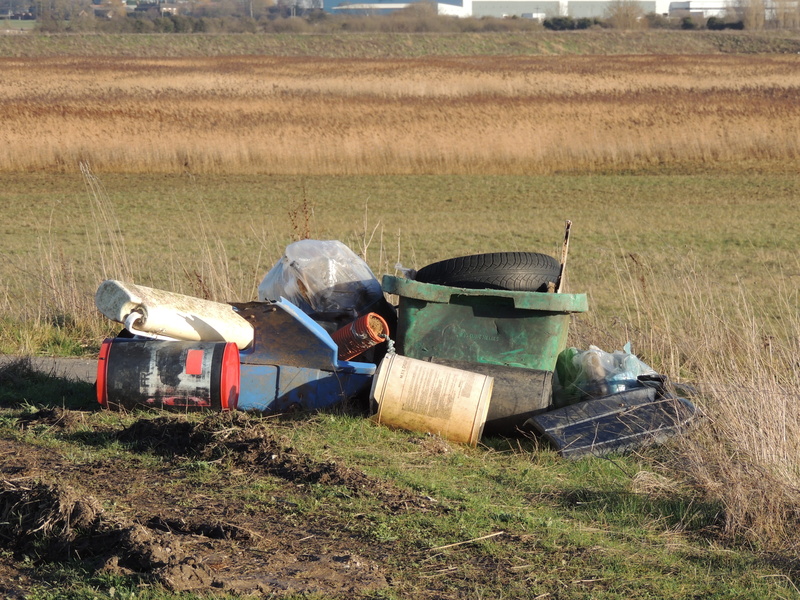 Checked through them but the Green-winged Teal was still at North Cave Wetlands so didn’t have much optimism. Also had a female Marsh Harrier to the west. JH wasn’t with me when I had the returning Kumlien’s Gull at Barmston 3 weeks ago, so on Sunday morning we head up there. 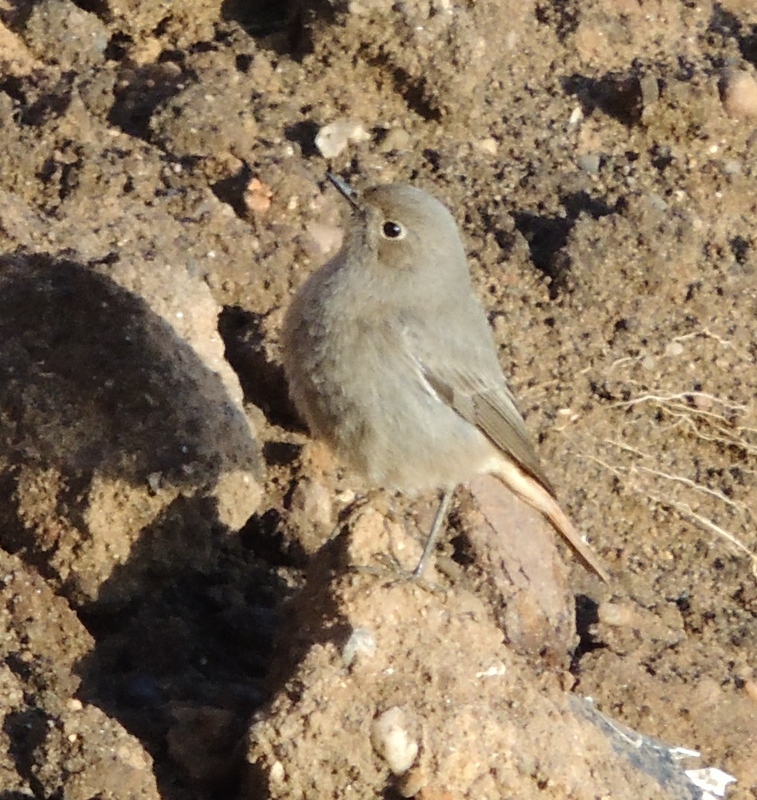 Unfortunately it had been seen flying south earlier so satisfied ourselves with a showy Black Redstart on the cliff face below the car park. Came onto the cliff top but was seen off by a Robin and moved out of view. Went to Hornsea Mere, starting at Kirkholme Point. Not surprisingly with the Ivory Gull still at Patrington Haven there were a few unfamiliar faces. Unfortunately the Grey Phalarope was distant again. Kirkholme Point seems to be the coldest place in East Yorkshire so quickly moved to the relative shelter of the hide. 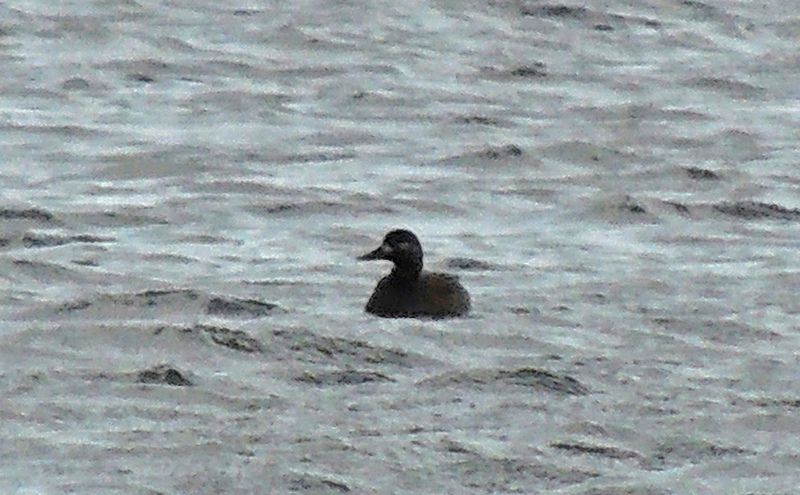 I found the Velvet Scoter, as before spending most of it’s time between us and Swan Island so tricky to see from Kirkholme Point or the south fields. 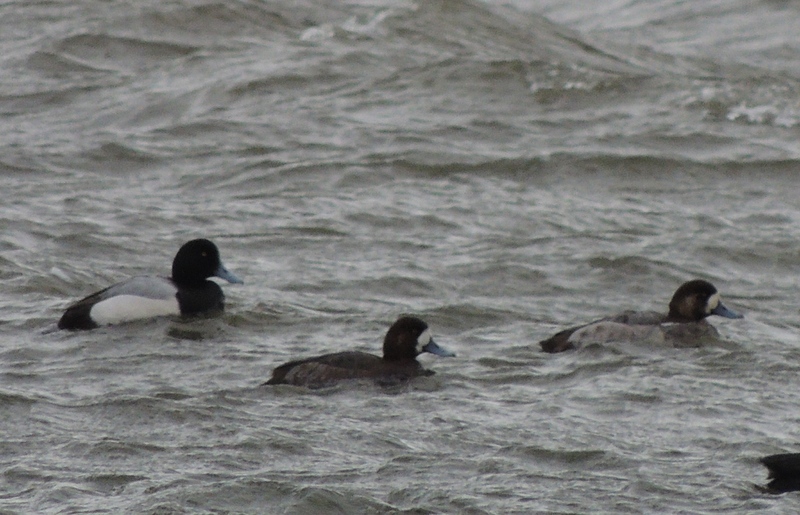 Later JH picked up 7 Scaup which had moved into our bay unseen. The Grey Phalarope was visible briefly late afternoon from the hide, near tree island. Both Great White Egrets had been seen earlier but we only had one hidden in the reeds distantly in Decoy Bay. Also seen by others today were the Long-tailed Duck, a female Common Scoter and a Slavonian Grebe, the latter 2 new for today. Also frustratingly a 2nd winter Caspian Gull was seen after we left. Steve Routledge covered the same ground. Check here for his finds. 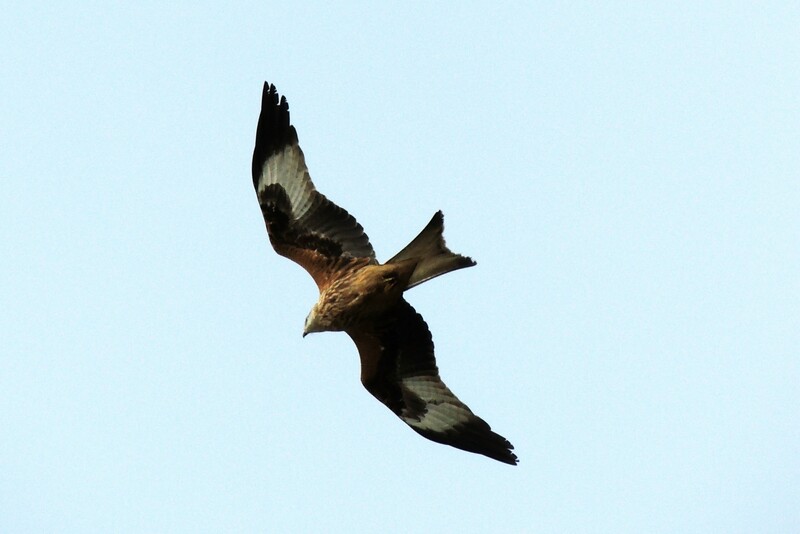 For more recent sightings from the mere check here. Hornsea Mere-Grey Phalarope and Great White Egrets. After “tick and running” the Ivory Gull at Patrington Haven with ML and RL on Saturday morning spent the afternoon in Hornsea Mere hide. The Grey Phalarope was still present but again distant, feeding along the edge east of “tree island”. Both Great White Egrets were still around, seen several times in flight above the trees opposite Kirkholme Point then flying to the west end, again taking a route that passed close in front of the hide. One returned to Kirkholme Point, feeding in the north east corner. The second bird could be seen roosting low in the Cormorant trees from Seaton Road as we drove home. 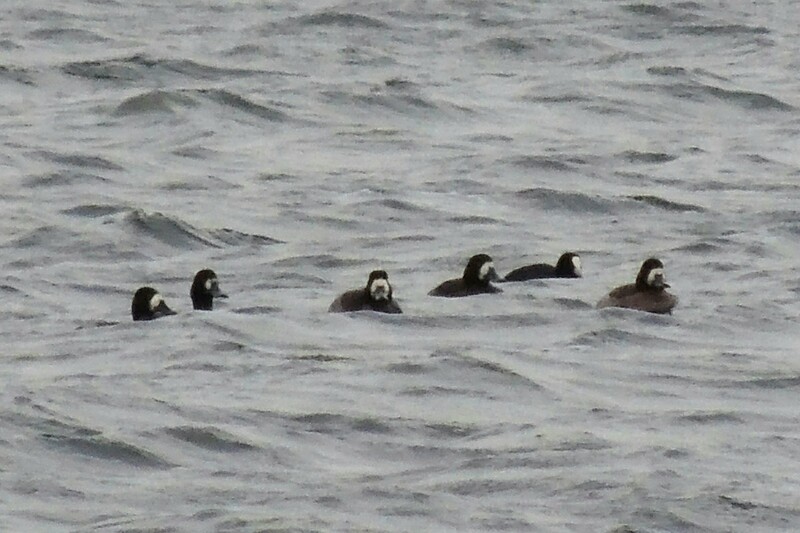 The Velvet Scoter and Long-tailed Duck were seen in the morning but didn’t show for us. 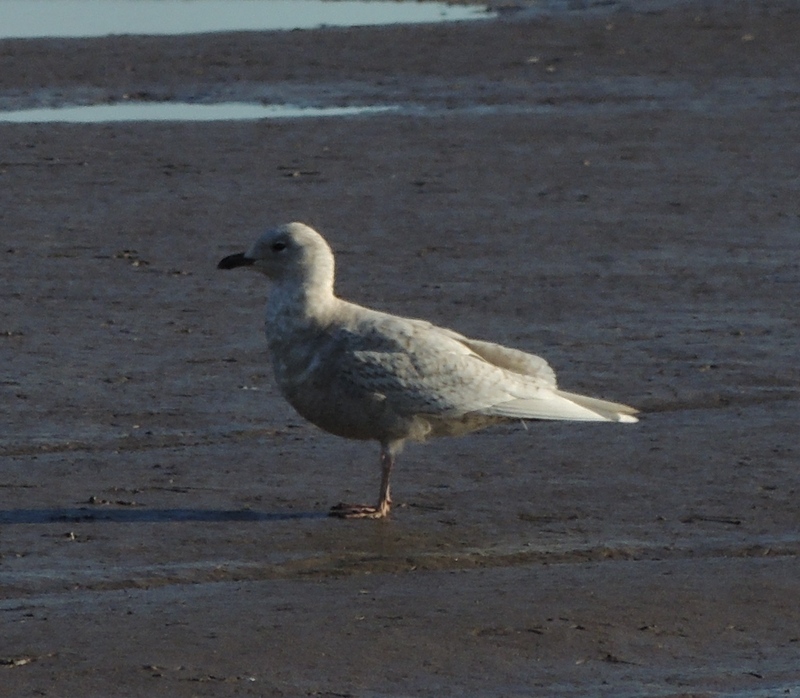 The Kumlien’s Gull was still at Barmston on Monday. 2 1st winter Mediterranean Gulls at Tophill Low NR this afternoon. For more news see here.